The PT-PC thickness meter measures uncured powder coatings using non-contact ultrasonic technology to calculate and display the predicted cured thickness automatically. Thickness results appear on the PT-PC thickness meter and on the probe. 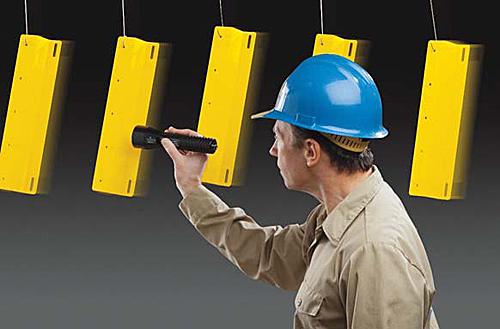 The wireless probe communicates with the PT-PC thickness meter from up to 10m. The PT-PC thickness meter is solvent, acid, oil, water and dust resistant, so this is the ideal device for powder coating environments. 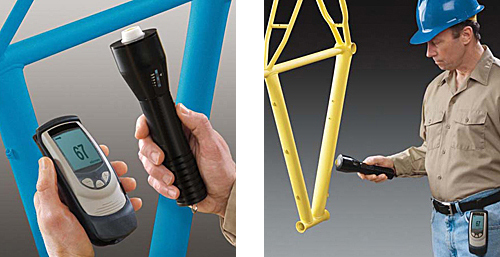 Advanced new technology allows measurement on small tubes, odd shapes and moving parts. 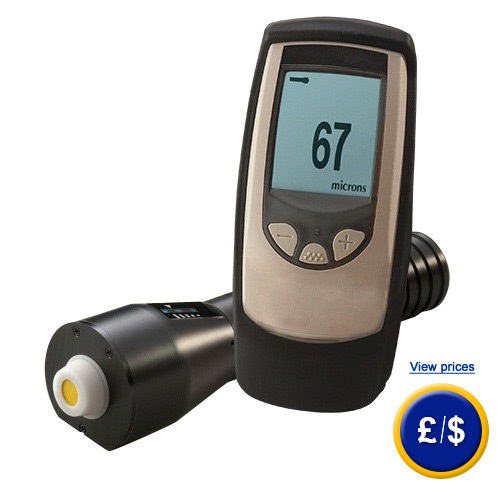 Thanks to the backlit display the PT-PC thickness meter can be used in dim or dark environments. The USB interface ensures a fast and easy connection to a PC, therefore measurement results can be read easily. There is no software required. The PT-PC thickness meter generates formatted reports with measurement summaries and charts. 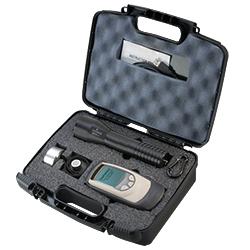 Here you will find other thickness meters for metallic and non-metallic materials such as wood or plastic. Languages Spanish, German, English, French, Italian, Czech, Portuguese, Japanese, Finnish, Turkish, etc. Here you can see the PT-PC thickness meter measuring uncured powder coating on a bike. The advantage of powder coating is its high resistance. Powder coating does not contain solvents, it is not a pollutant agent. Procedure: The powder is sent with a compressed air machine which is charged electrically, then this is sprayed, in this case onto the bike. Electrically charged dust particles are fixed on the bike. Now, the bike frame is put into a 180 ºC oven and the powder is cured. After the cooling, the powder coating will be resistant.